Living with a goddess inside her, Creeper happens upon some valuable information about a scientist and his powerful but dangerous invention. A streetwise kid like her decides to sell this information to become a crewmember for Captain Ann-Marie of the “Midnight Robber.” But the weapon in question could kill thousands and reignite the Civil War. Other than the casual use of racial epithets typical of the South around the time of the Civil War, this was a cool take on a steampunk-like world set in an alternate universe. It’s a shame it’s just a novella but enough entertainment is packed into its short length, great characters, and fun action. 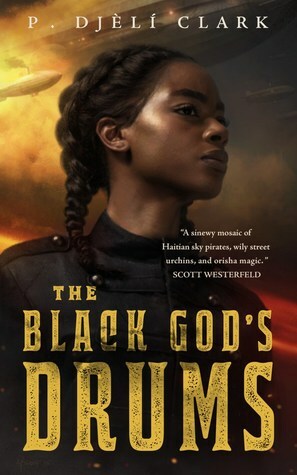 Not enough books are written about the African Orishas and this is a highly creative and enjoyable take on that mythos. 4.5 out of 5. I know Rosa Parks is so much more about the bus boycott, but she sparked something that changed the lives of my people forever. So for that, and for everything she’s done to advance equality, I thank her. It may be a shocker to those who can’t tell from my picture, but I am African American. My family came here from Bermuda and I am fourth generation here. My grandfather was in the British navy and met my Granny at a USO party. It’s from him that I get my light skin, but Granny gave me my face. I look exactly like her. I was raised to be a strong, proud Black woman so that is what I consider myself today. I am able to do this because of women like Mrs. Parks and my grandmother (who dared to marry a White man) and I can never thank them enough.